Stop being puzzled with your oversized, heavy fitness equipment. Try out this compact total-body exercise dual bike to work out your upper and lower body to enhance circulation and regain muscle strength. The Beta Flex HomePhysio Malibu Dual Bike features a height-adjustable mechanism that allows you to exercise from chair, sofa, bed side, or even lying down on a mat, giving you a total-body physiotherapy and improving joint motion effectively. Its stream-lined, compact design makes it easy for moving or storage; you can hide it away in the room corner in just few seconds. You can exercise at home, backyard, pool side, or even in office. 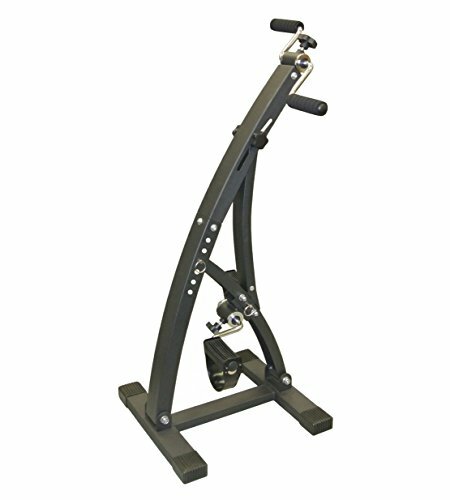 The chainless tension control allows you to choose different resistance levels for your workouts. It is designed with the concept that not only maximizes the workout result of losing weight and burning maximum calories but also helps you get in shape with the performance goals you need. The main frame is made of heavy-duty steel, providing great stability while exercising on it. Try it for 15 minutes a day to improve your body flexibility and circulation and place your health back on the right track. Assembly is required. If you have any questions about this product by Carepeutic, contact us by completing and submitting the form below. If you are looking for a specif part number, please include it with your message.